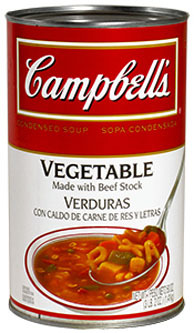 Vegetable Soup gives you a home-style feel from a can. The classic alphabet soup. A true classic that gives you a full serving of vegetables per half cup of soup.